After our stay in Ao Nang – sort of the beach part of Krabi Town as seen in our first video – we went on to Koh Phi Phi Don. From this 3 days long trip with visits at the Long Beach, the Lo Sama Bay and the legendary Maya Bay on Koh Phi Phi Leh where the movie “The Beach” was shot, as well as the climb to the Koh Phi Phi Viewpoint, I made of course another video with my GoPro. I hope you will get quite a nice overview of the Phi Phi Islands and maybe it makes you want to visit these beautiful islands yourself! 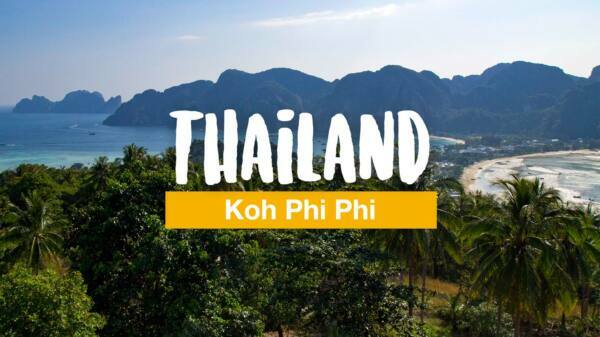 I was just browsing blogs to check tips and ideas about how Phuket/Ko Phi Phi might look like and thank God I found this article with a video on it! So helpful, thank you for posting articles like this! Cheers!